Rapifix: Top 9 iPhone Repair Services We Offer in Montreal. 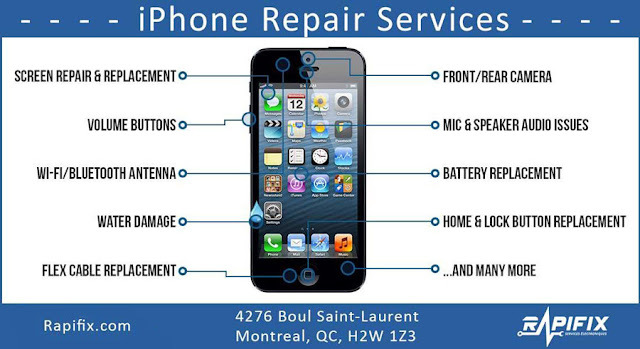 Top 9 iPhone Repair Services We Offer in Montreal. We've uploaded a new infographic to our iPhone Repair Service page. Here are 9 of the services we do most often when local Montreal residents bring in a broken phone.